by the yard or sheets. SALE - select colors 20% off, see colors below. Slightly thicker and stiffer than the 100% wool felt. 1/16 inch thick, 9 oz per linear yard weight (36x36). 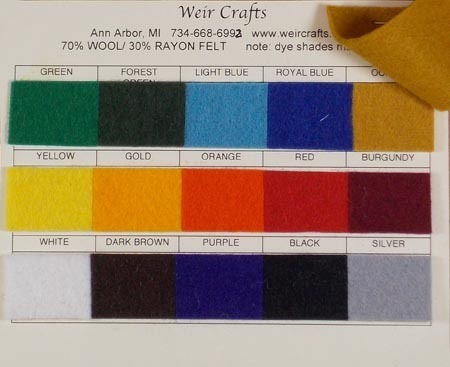 Small pieces of the 70% wool felt colors on a 4" X 5" card.